Happy anniversary to all my Singaporean friends, as the nation celebrates its 50 years as an independent nation this year! 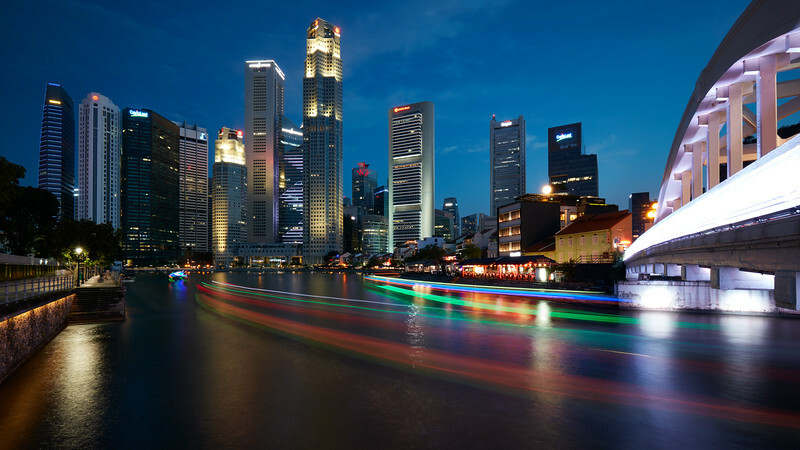 Beyond the aesthetics of the scene, this picture has a special historical meaning as the port on the right hand side known as Boat Quay used to welcome ships for trading of goods, while the financial district in the background now proudly hosts a more modern type of trading. The two areas connect to each other not only physically through this light streak left behind by boats wandering on the Singapore river but also because the wealth that the dynamic business in Singapore generates also supports the preservation and renovation of the old district that started everything, allowing people to enjoy the incredible history of this nation.